I don’t know if anyone else does this, or will admit to doing it in a public forum, but I run entire conversations with people before I ever come face to face with them. People I know, and people I’ve never met. For example, If I’m arguing with someone, I like to practice my side of things before the main event, so as not to get caught off guard by any scenario that might be thrown my way. I guess, in that way, it’s kind of like kissing your pillow, or imitating a movie star in the bathroom mirror—without the pillow or the mirror. Just me and my thoughts and my imaginary friends. I’ve done this little, pre-game role play activity for as long as I can remember, and though I’d be fearful of an official diagnosis from the mental health community, I’ve just chocked this up to a vivid imagination and; well, the fact that I just appreciate good conversation with myself and with others…if they’re willing. When conversation is a necessary for survival as it is for me, you kind of need to be constantly looking for a fresh pair of ears. I also think that this pseudo-schizophrenia will ultimately pay off for me one day. When Oprah calls, I’m going to be cool as a cucumber. Oprah and I have chatted on many occasions in my mental fairytale land about any one of a myriad of projects I’ve been working on over the years. 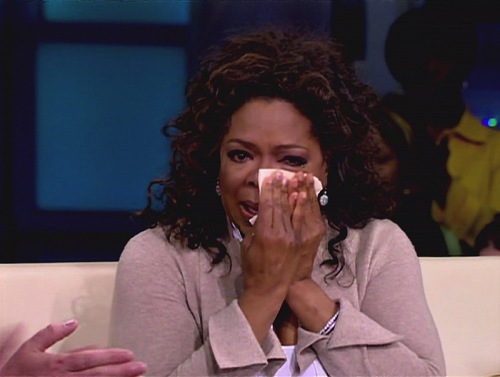 I’ll tell you that Oprah has never made me cry when she brings up my emotional past. We usually just cut to commercial laughing and telling inside jokes, just like when Julia Roberts comes on the show. 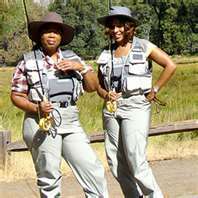 In fact, Oprah and I get so comfortable together, just like her and Gayle King; that I get to turn the tables on her. Imagine that–me interviewing Oprah Winfrey. Oprah cried when I flipped the script and put her on the hot seat. I asked her about her childhood and what she would say to that little girl rural Mississippi and she says, “I’d ask her if I made her proud.” She cried; so I cried to. I guess I lied when I said Oprah didn’t make me cry. We sat there on the couch together and just cried it out like a couple of sisters. We end with a good girlfriend laugh, I ask her to teach her next life class on how the average, American woman can keep it spicy like her and Stedman. Just like her and Maria Shriver would do. I’m ready Oprah, just give me the call. Got my dress picked out and everything. You know, Oprah has been my role model for a very long time, and your article just confirms for me what I’ve suspected all along ; ) I’m sure you’ll get that call the same week she adds my novel to her Book Club Favorites!